“The technology of synthesizing sound from light is a curious combination of research from the realms of mathematics, physics, electronics and communications theory which found realization in the industries of motion picture films, music, surveillance technology and finally digital communications. 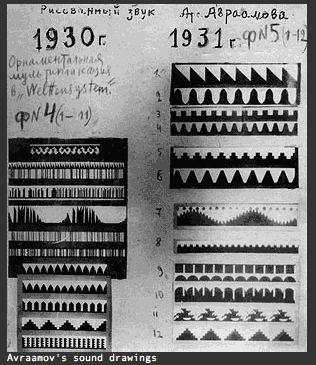 As such, it’s history is an interesting cross section of 20th century history, reaching from the euphoria of the late 19th Century and early 20th Century inventors (who often struggled between “scientific” and “supernatural” explainations of their work) through the paradigm-smashing experiments of the Soviet avant-garde in the 1920’s and 1930’s to the cynical clash of ideologies of the Post-war years and finally to the dawn of the digital era in the 1970’s. 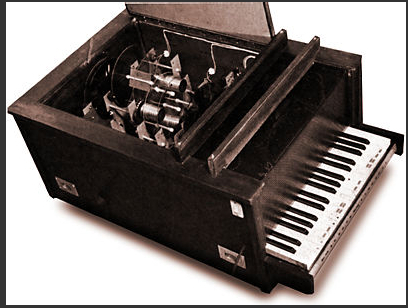 No sound for the first minute, then sounds like a variety of instruments including a vocoder. 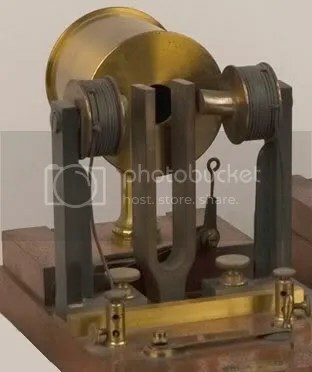 This ingenious device, designed by Herman von Helmholtz XR (1821-1894), was the very first sound synthesizer: a tool for studying and artificially recreating musical tones and the sounds of human speech. Suppose I sing the word ‘car’ and then on the same note sing ‘we’. The two vowel sounds will be similar in so far as they have the same pitch G , yet they have a clearly distinct sound quality, or timbre G . What is it that accounts for this difference, and the timbres G of musical sounds in general? 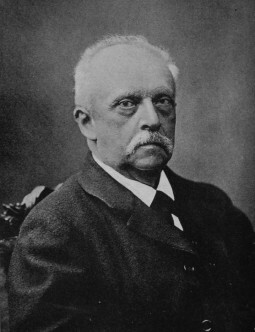 Helmholtz set out to answer this very question in the mid nineteenth century, building on the work of the Dutch scientist Franz Donders (1818-1889). 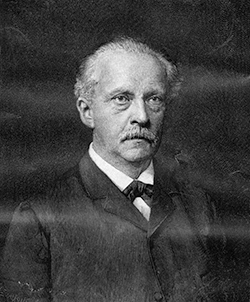 Helmholtz showed that the timbre G of musical notes, and vowel sounds, is a result of their complexity: just as seemingly-pure white light actually contains all the colors of the rainbow, clearly defined musical notes are composed of many different tones. 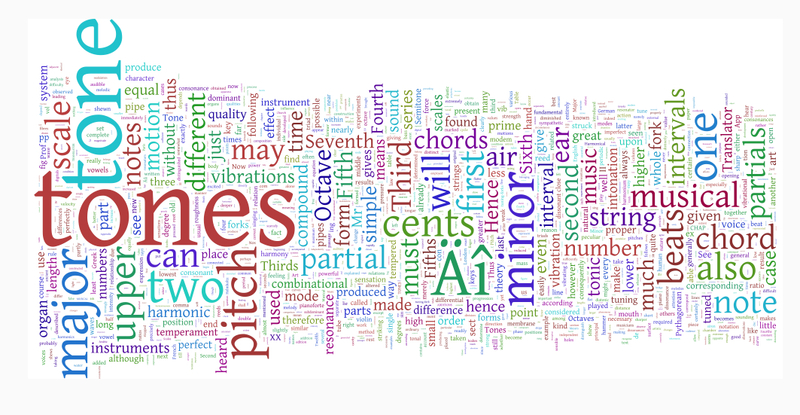 If you play the A above middle C on an organ, for example, the sound you hear has a clearly defined “fundamental” pitch G of 440Hz G . But the sound does not only contain a simple “fundamental” vibration at 440Hz G , but also a “harmonic series” of whole number multiples of this frequency G called “overtones” (e.g., 880Hz G , 1320Hz, 1760Hz, etc.). 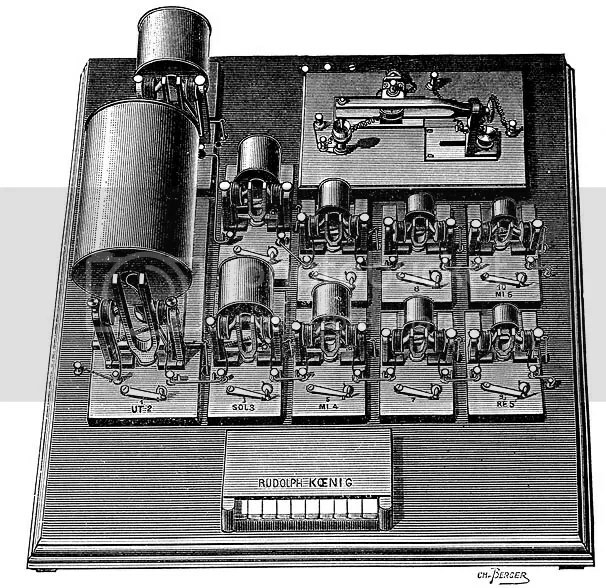 Helmholtz proved, using his synthesizer, that it is this combination of overtones at varying levels of intensity that give musical tones, and vowel sounds, their particular sound quality, or timbre G .
Helmholtz’s apparatus uses tuning forks, renowned for their very pure tone, to generate a fundamental frequency G and the first six overtones which may then be combined in varying proportions. 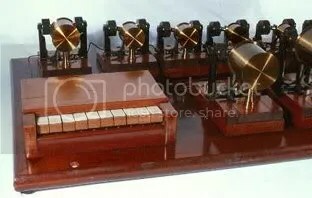 The tuning forks are made to vibrate using electromagnets and the sound of each fork may be amplified by means of a Helmholtz resonator with adjustable shutter operated mechanically by a keyboard. 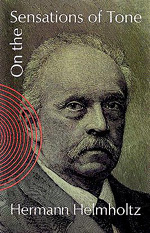 By varying the relative intensities of the overtones, Helmholtz was able to simulate sounds of various timbres G and, in particular, recreate and understand the nature of the vowel sounds of human speech and singing. Vowel sounds are created by the resonances G of the vocal tract, with each vowel defined by two or three resonant frequencies G known as formants. When we say or sing ‘a’ (as in ‘had’), for instance, the vocal tract amplifies frequencies G close to 800Hz G , 1800Hz and 2400Hz amongst others. When we require a different vowel sound, the muscles of the throat and mouth change the shape of the vocal tract, producing a different set of resonances G .